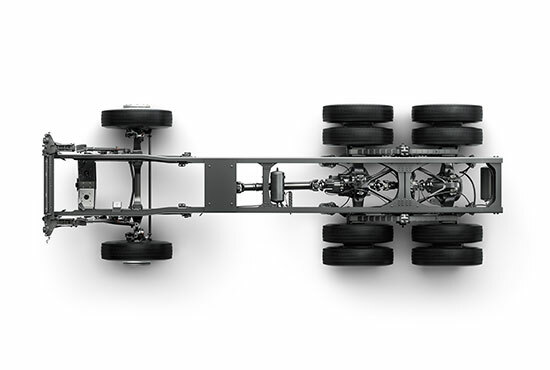 A heavy-duty chassis with high flexibility and quality is one of Quester’s main characteristics. 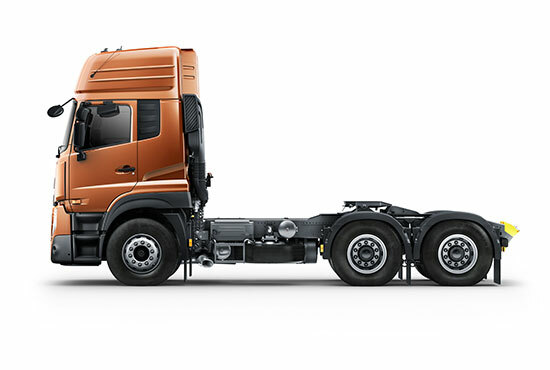 The design of components comes from UD Trucks’ and Volvo Group’s proven commercial-vehicle technology. The entire chassis is subject to extensive tests in accordance with our global standards. This guarantees high reliability, good economy and a long life. The Quester frame is robust and handles tough demands. The side rail section is made from strong and durable rolling form steel and is available in thicknesses of 7.0 or 8.0 mm. Rolling form is a torsional flexible frame with uniform stiffness, good for vertical stress and torsion stress when rolling and pitching happen together. This reduces stress from uneven road surfaces, loads with high center of gravity and unevenly distributed loads, making it suitable for many different conditions. The T-ride rear suspension on the 6×4T/R is designed for rough conditions and particularly suitable for construction where durability and high reliability are of the highest importance. 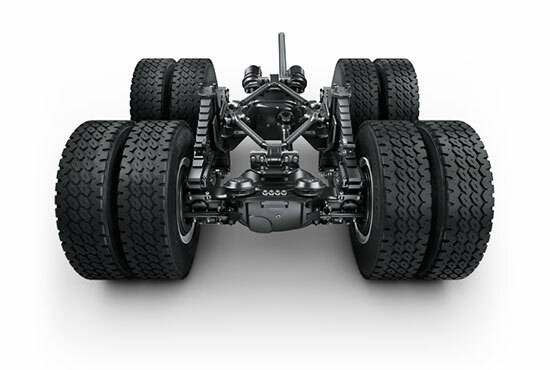 Rubber springs between the springs and rear axles contribute to good comfort under all axle loads. Rubber journaled V-stays and reduction rods give a smooth operation. You get durability to go the distance. The Quester driveline is carefully balanced to optimize performance under varying conditions. It gives excellent fuel economy at cruising speed due to the possibility of matching the driveline with the correct rear axle ratio. A locally sourced and popular transmission based on well-proven technology. We have further developed it to withstand tough conditions and meet our customers’ demands. After rigorous testing we have obtained first-rate results for reliability and durability. For the 11-liter engine you have a choice of 9 or 12 speed. 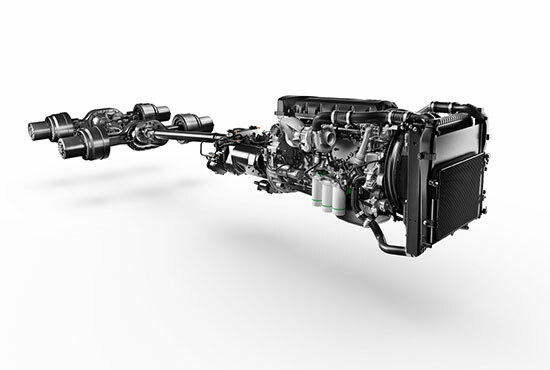 For the 8-liter engine you can have 6 or 9 speed. We are all for customer service, so we need reliability. This is one of the reasons we have UD trucks. We know we can rely on them, we know that every day we can get through our day’s work without any trouble. Quester is a powerful truck, and a surprising truck in fact. It’s a truck for Africa. The Quester cab has passed the ECE R29/ AIS029 crash safety test, which includes a front impact test and a simulated roof strength test. This shows that the cab is able to withstand impact and provide a safety space for the driver. The feedback from the drivers on Quester is excellent. They are happy with the higher and larger cabins. Quester is UD Trucks’ most cost-efficient truck ever. Not only when you buy it, but also when you drive it. It cuts fuel costs and maximizes uptime so you get quick, dependable payback that will help you reach your business goals.